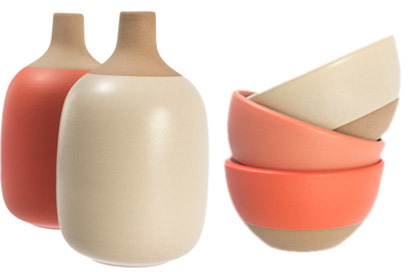 Heath Ceramics Unveils Vibrant New Summer Seasonal Pottery Matte orange hues of California Poppy and Grapefruit pair with traditional Birch and unglazed clay in this year's Summer Seasonal pottery from Heath Ceramics. Our most recent dinner blog post spotlights an informal tablescape of aqua blues and whites for the cooling effect so welcome in warmer months. You will also see some perfectly charred chicken kabobs. Visit dinnerseries.com.